WW II was a theatre of war for many specialized combat units working together to ensure an army?s victory. Among them a unique role was played by hidden and deadly marksmen. Their ability to lay motionless waiting for the perfect shot together with their professional equipment allowed them to change the course of the history with one pull of a trigger. 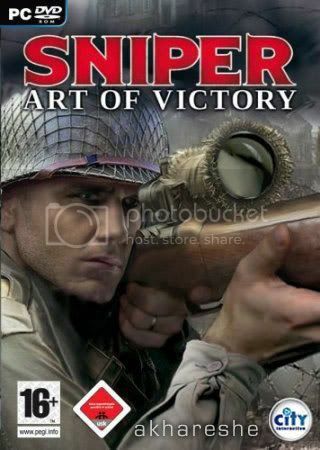 Become a sharpshooter and take part in the turning points of the WW II. Eliminate the Nazi general who came to support the Germans lying siege to Stalingrad. Make your way through areas occupied by the Third Reich to your unit. Aid the Alliance forces during their offensive on the Italian Peninsula to break the resistance of the retreating Wehrmacht forces. Like a sleeping cobra, your ability to stay still and silent until it is time to strike is what separates you from other soldiers. Play the role of a deadly marksman in World War II, determined to take out a dangerous Nazi general who’s prepared to do whatever it takes for German dominance. You will join the Allied forces in the offensive on the Italian Peninsula in their battle to shatter the defenses of the retreating Wehrmacht forces. Somehow you must stay calm and steady as you fight and travel through a painstakingly rendered war-torn world.